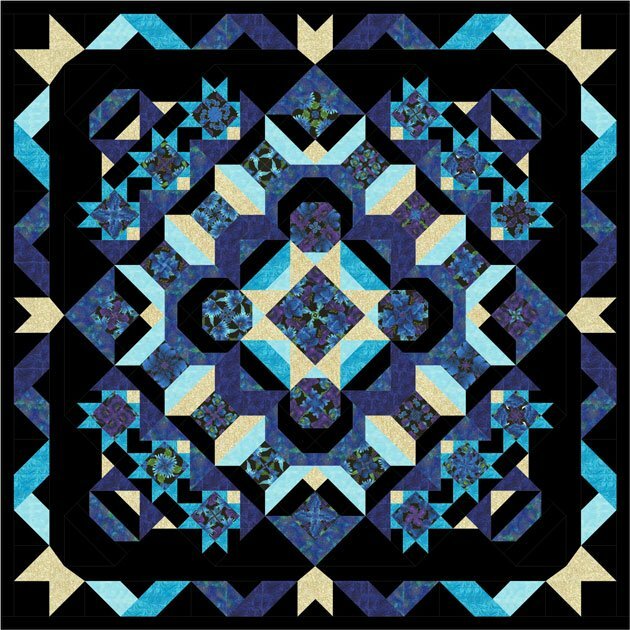 Sign up for this stunning block of the month by Quilt Moments using Timeless Treasures fabric. Quilt finishes at 106" x 106" and is available as a 12 month program @ 19.99 month in addition to the registration fee. The pattern includes 3 sizes and complete kits will be made available as pre-orders. Stellar Starburst BOM kicks off June 1st.